Batty Knits: Yay! Sock Pattern Accepted by Knit Picks! 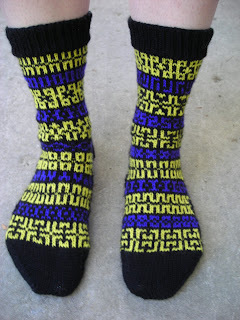 I received final approval of my sock pattern from Knit Picks today. The pattern should be posted on their website quite soon. I'll let everyone knows when it goes up.